Less than 20 minutes after picking up our luggage at Antigua’s B.C. Bird International Airport, my husband and I were sitting in the open-air lobby of Sandals Grande Antigua, looking out at the beach and sipping tropical drinks as we were checked into our room. It felt luxurious to have the staff come to us instead of standing in line and then filling out paperwork at a check-in desk. By the time we’d finished our drinks, we were being escorted to our Caribbean Village beachfront room. Upon entering our room, our eyes immediately were drawn to the view of the gardens and the Caribbean beyond; we loved the stocked complimentary bar and coffee set-up, the romantic four-poster mahogany bed and ceiling fan and the plush robes, posh bathroom and amenities—but most of all, we enjoyed waking up every day to that view and being able to walk out onto our patio to sip our morning coffee while looking out at the sea and checking out the chilly temperatures we were missing back home on the fast, free Wi-Fi. With 11 very different restaurants to choose from, it was often hard to decide where to eat. Two buffets and a la carte restaurant overflowed with breakfast choices, including rave-worthy made-to-order smoothies. For lunch and dinner, our favorite spot—for food and ambience—was Barefoot by the Sea, where we loved dining under a thatched-roof with our toes in the sand. In the evenings, it specialized in fresh seafood, elegantly served, where standouts included grilled snapper with lemon caper butter and Caribbean Lobster. Eleanor’s, the most elegant and only restaurant requiring dinner reservations, served traditional Caribbean specialties such as conch chowder and chicken roti. And Kimonos, with its tableside Teppanyaki presentations, and Mario’s Italian cuisine were also top-notch. 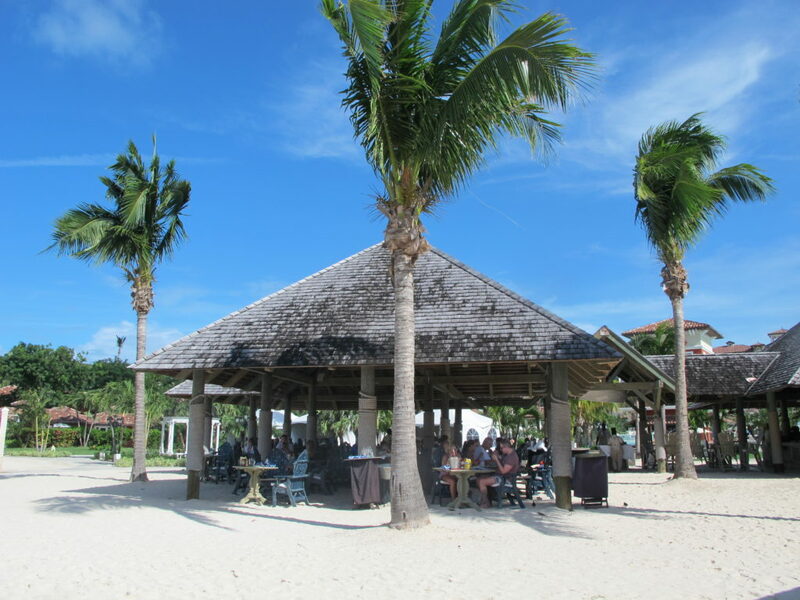 One of things we like about Sandals Resorts is the diversity of activities and venues, and Sandals Grande Antigua was no exception. There was always something fun going on, but there also were quiet nooks and hidden pools tucked into the foliage. 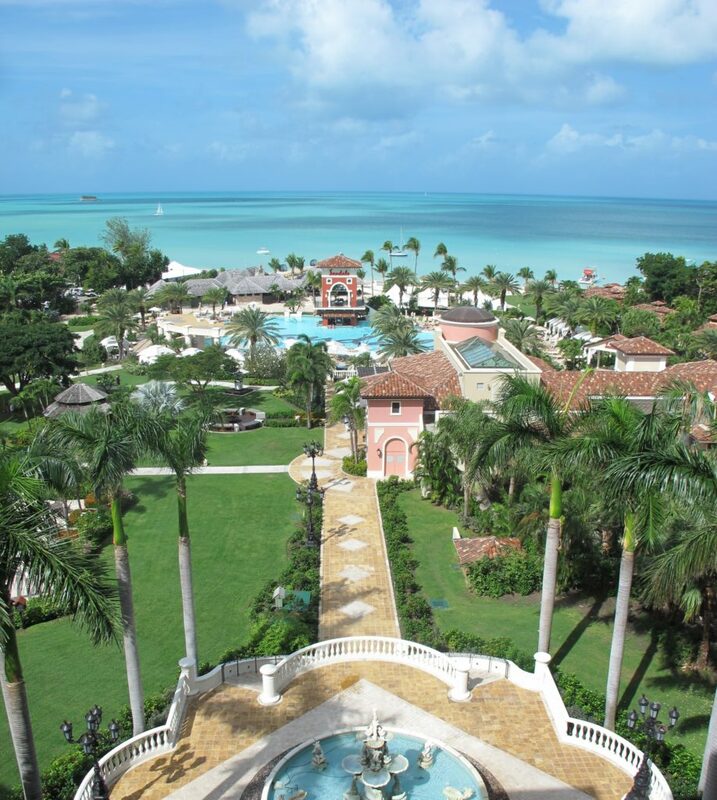 Spread across 27 acres, Sandals Grande Antigua was large enough to be interesting without being too big to walk. 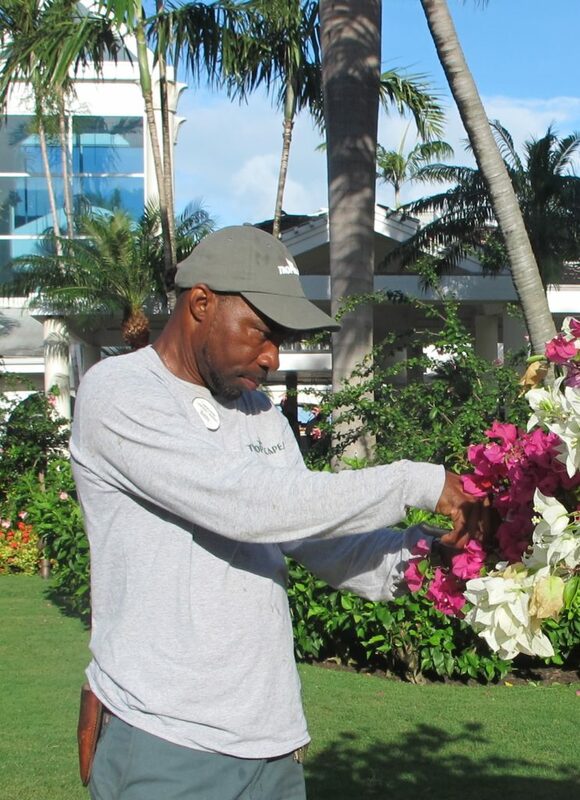 One morning we took the resort’s Nature Tour with landscaper/guide Bobby who amazed us with his knowledge about the origins and adaptations of many exotic plants and trees around the resort. There are officially two sections. In the low-rise Caribbean Grove, inviting fire-pits, the spa, gym and tennis courts nestle into lush, verdant gardens. The pastel-painted Mediterranean Village includes a grand hotel, a mini-town of shops and eateries, and a pool so large (the Caribbean’s largest zero-entry) that it has a quiet and a lively side. 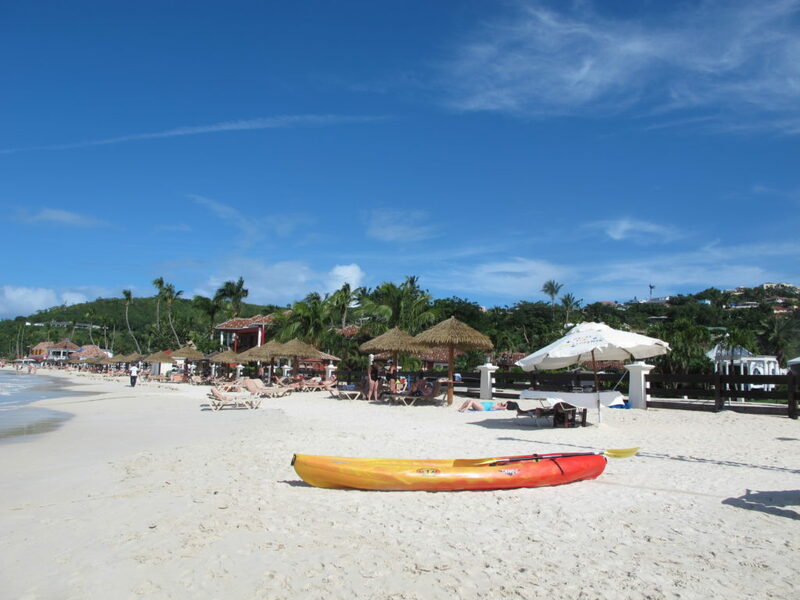 Sandals Grande Antigua is set along Dickenson Bay, a long stretch of powder-white sand (public as are all Antigua beaches) dotted by small eateries and hotels and known for its calm, reef-sheltered waters. The hotel’s Aqua Center offers a schedule of classes in everything from stand-up paddle boarding and windsurfing to kayaking and snorkeling—all complimentary. (Scuba is free for the certified; classes entail a fee). We’d thought of trying windsurfing, but the winds were unusually strong, so we signed on for a snorkeling cruise to an offshore reef teeming with schools of tangs and colorful parrotfish. 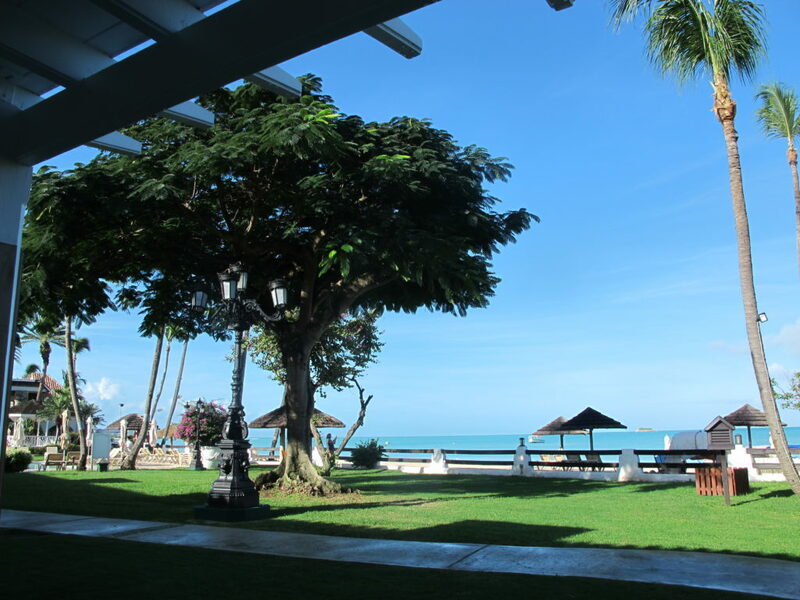 The resort also has newly-resurfaced tennis courts and a full gym with fitness classes throughout the day, from an early morning beach power walk and to an intriguing Tabata training that I kept planning to join but never quite did. We also heard great things from other guests about the couples’ treatments at the spa—but somehow couldn’t pull ourselves away from the beach. Maybe next time! 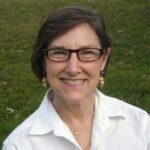 Geri Bain, a widely published travel writer and editor, has written about more than 65 countries. While travel editor at Modern Bride magazine, she wrote an acclaimed guide to Honeymoons and Weddings Away. She is a past president of the New York Travel Writers Association and former editorial director of Endless Vacation magazine.